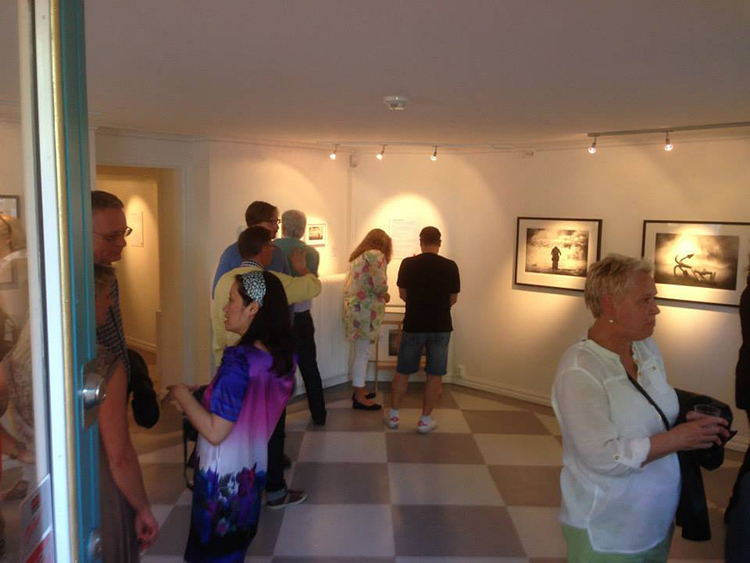 This weekend I was in Växjö for the opening of "Journey", a joint exhibition with me and Richard Brocken at the wonderful Galleri Plan B.Below are some pictures from an awesome weekend. 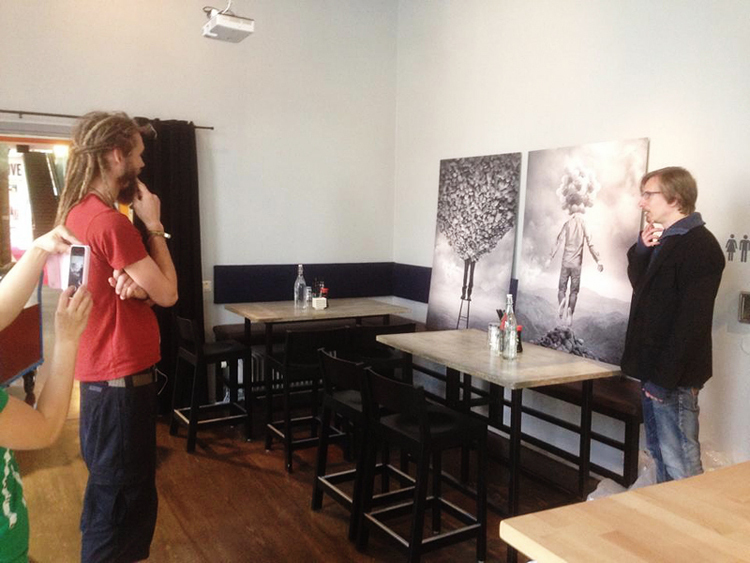 Two of my works in 100x140cm printed on aluminium going up at restaurant Izakaya moshi in central Växjö. 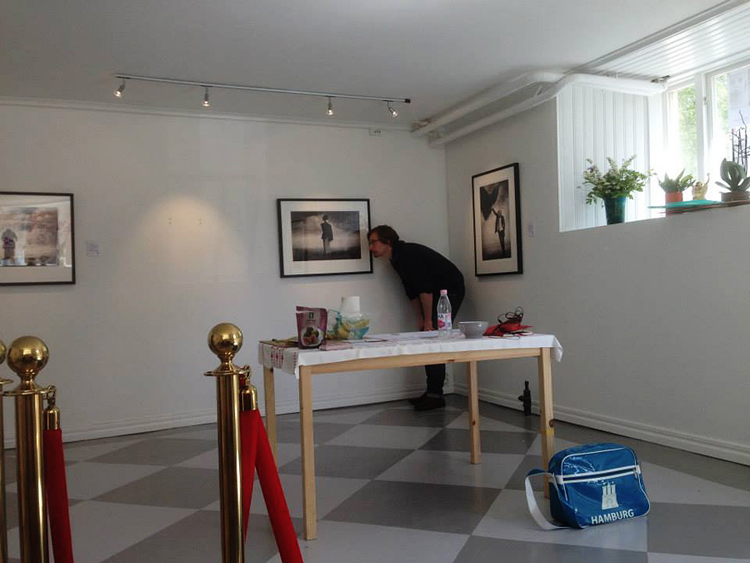 Trying to get things to hang straight at the gallery. 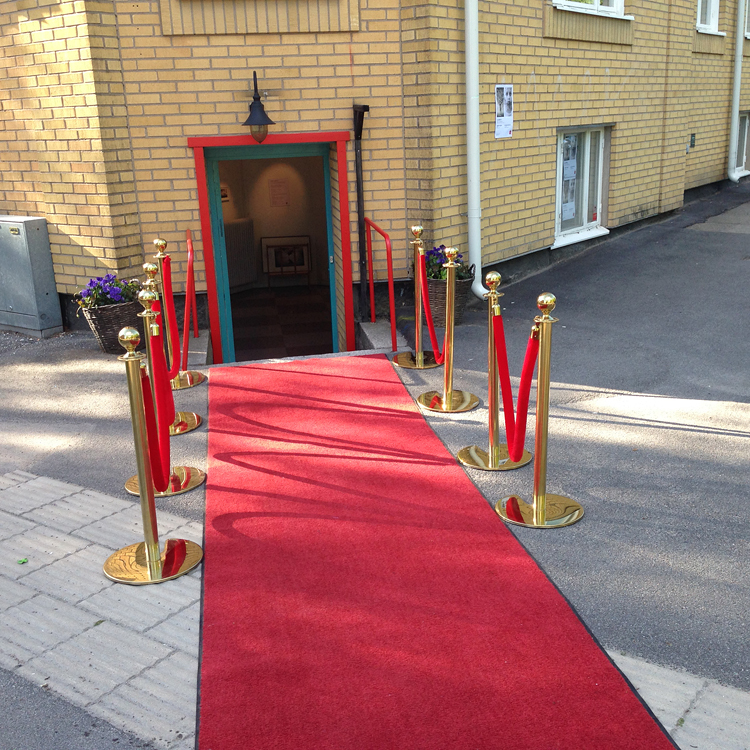 Red carpet waiting for the opening to start. 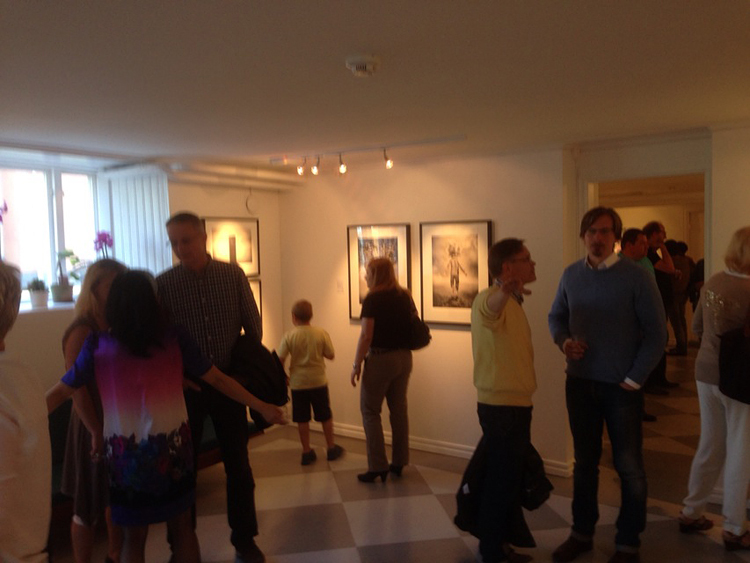 And finally some shots from the opening. Sorry about the image quality, mobile phone cameras are not great without enough light! I am very excited to announce that I will be exhibiting together with the very talented Richard Brocken at Galleri Plan B in Växjö, Sweden. 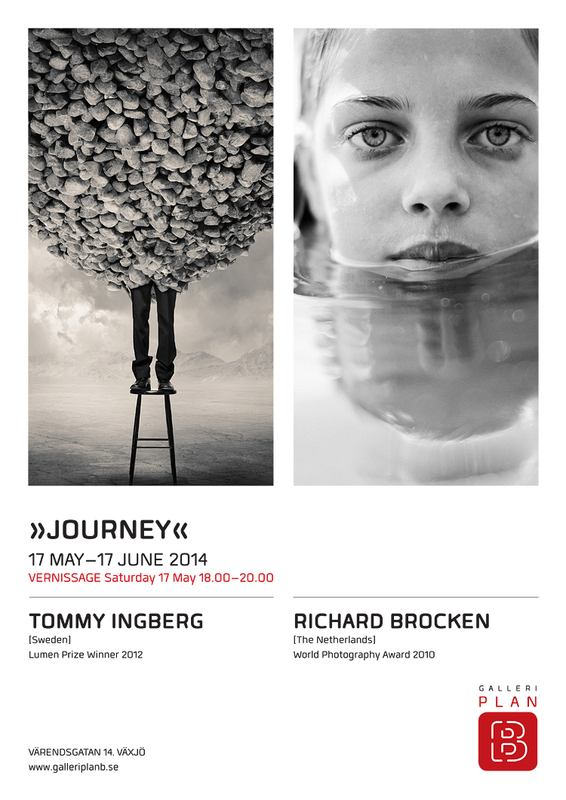 The exhibition will be open from May 17:th to June 17:th and the vernissage is May 17:th 18:00 to 20:00. Two of my artworks will be exhibited at the group show "Continental Shift" at the Saatchi Gallery in London. Exhibition is open from 1st April to 22nd April. New Web site live and kicking!